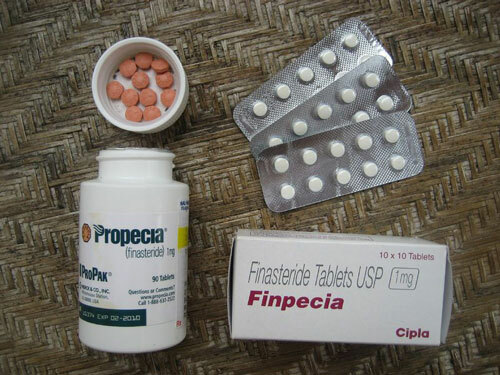 New research, to be published in the Journal of Clinical Psychiatry, finds that men who developed persistent sexual side effects while on finasteride (Propecia), a drug commonly used for male pattern hair loss, have a high prevalence of depressive symptoms and suicidal thoughts. The study, titled “Depressive Symptoms and Suicidal Thoughts Among Former Users of Finasteride With Persistent Sexual Side Effects,” was authored by Michael S. Irwig, M.D., an assistant professor of medicine in the Division of Endocrinology at the George Washington University School of Medicine and Health Sciences. For the study, Dr. Irwig administered standardized interviews to 61 men who were former users of finasteride with persistent sexual side effects for more than three months. The interview gathered demographic information, medical and psychiatric histories, and information on medication use, sexual function, and alcohol consumption. All of the former finasteride users were otherwise healthy men with no baseline sexual dysfunction, medical conditions, psychiatric conditions or use of oral prescription medications. Dr. Irwig also conducted interviews with a control group of 29 men who had male pattern hair loss but who had never used finasteride and who denied any history of psychiatric conditions or use of psychiatric medications. Both groups self-administered the Beck Depression Inventory II (BDI-II), a widely used, validated instrument that measures the severity of depression in adults. According to the total scores from the BDI-II, most former finasteride users exhibited some degree of depressive symptoms: 11% had mild symptoms; 28% had moderate symptoms; and 36% had severe symptoms. In addition, 44% reported suicidal thoughts. In the control group, 10%had mild depressive symptoms with no cases of moderate or severe symptoms, and 3% reported suicidal thoughts. “The potential life-threatening side-effects associated with finasteride should prompt clinicians to have serious discussions with their patients. The preliminary findings of this study warrant further research.” said Dr. Irwig. Previous articleWhy do infants get sick so often? Great article. This drug is truly messing young men up horribly and needs to be pulled from the market by the FDA immediately.